After a record-breaking box office year in 2015, studios in 2016 continued to drop major box-office tentpoles in hopes of recreating that magic. But the road to another record year was not without its setbacks, and in many instances the tentpoles flopped where low- and middle-budget films became unexpected breakouts. Each 2016 season, starting in the early winter months, waffled between underperformance and outperformance. The summer was particularly trying. Halfway through the warm months, the domestic box office gross was down 10.9% year over year. But the second half of summer offered plenty of redemption, with grosses up 3.0% by the end of the season. Big winners and big losers drove the ambivalent results. 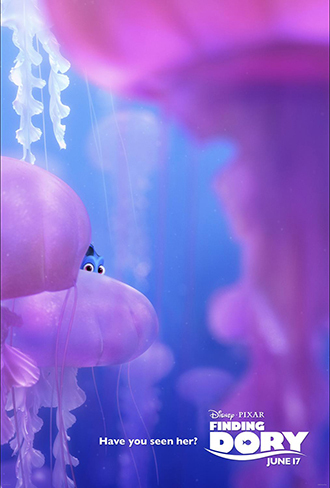 Walt Disney Co.'s little fish Dory proved to be a whale of a film, collecting $1.54 billion in total worldwide revenue after a $135.1 million June 17 debut weekend. "Captain America: Civil War," another Disney release via Marvel Studios, also boasted one of the highest grossing titles of the season with $1.22 billion in total revenue on a $179.1 million release in early May. But the summer also saw some of the biggest flops. MGM and Paramount Pictures ended up with some ancient egg on their faces after "Ben-Hur" became one of the biggest disappointments of the year, collecting just $113.9 million worldwide on a $101.0 million production budget. After other costs, the title dove 99.5% in the red by the time it left theaters. Despite the success of "Captain America" and "Finding Dory," studios could not count on big-budget sequels to save their bottom lines. The term "sequelitis" became a major buzzword in Hollywood as moviegoers shunned many titles from franchises past. For example, "X-Men: Apocalypse" and "Teenage Mutant Ninja Turtles: Out of the Shadows" delivered compressed returns for their studios compared to their predecessors. The latter of the two did not even manage to turn a profit for Paramount Pictures, leaving theaters in the red by 26.9%. That trend extended to movies like "Neighbors 2," "Snow White and The Huntsman" and "Alice Through the Looking Glass." Even titles that were not explicitly sequels but just leaned on old intellectual property to launch contemporary reboots were not exempt from a general ambivalence toward recycled material. "Independence Day: Resurgence" and "Ghostbusters" each disappointed, underselling big production budgets with mediocre revenue results. Other reboots and sequels, however, ended up being major financial successes, even as they were derided by critics and fans. For example, "Batman v Superman: Dawn of Justice" became the title viewers loved to hate, settling at a miserably "rotten" 27% rating on Rotten Tomatoes. As one reviewer groaned, "It seems amazing that something as idiotic as 'Batman v Superman: Dawn of Justice' could now even get beyond the pitching stage." But Warner Bros. seemed to know what it was doing when it gave "Batman v Superman" the go-ahead. The movie raked in almost $1 billion in total revenue to exit theaters on a 30.3% profit margin. "Suicide Squad" was another panned title, but it left theaters 43.3% in the black. Both of those titles also boasted two of the biggest opening weekends of the year. 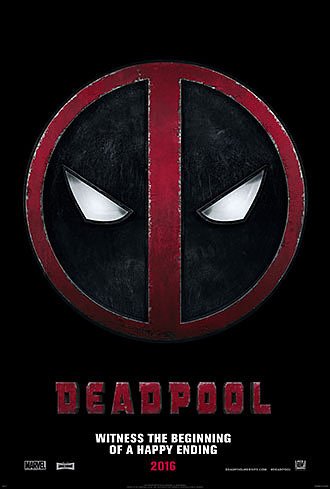 Another interesting phenomenon in the superhero category was "Deadpool," which 21st Century Fox Inc. produced for just $58.7 million, one of the cheapest blockbuster superhero films to date. With an R rating and a tongue-in-cheek approach to the genre, the movie was a risky bet that paid off in a big way. Critics adored "Deadpool," which landed on an 84% "Certified Fresh" rating, and left theaters with a 64.0% profit margin after crushing industry records for an R-rated title. The year also saw a low-budget trend emerge, particularly for thrillers, horrors and irreverent comedies. Sleeper hits bucked the sequelitus trend with "The Conjuring 2" and "Purge: Election Year." "Don't Breathe" also joined the list of scary titles that delivered tidy sums for their studios. STX Entertainment also enjoyed an expectation-beating win with R-rated comedy "Bad Moms," and Columbia Pictures did the same with "Sausage Party." As the dust was settling from a loopy year at the turnstiles, it appeared the industry is poised for another record result after it beat $11 billion in 2015. If it does count another record, it will be pushed across the finish line by "Rogue One: A Star Wars Story," which clocked the third-largest debut weekend of the year after its Dec. 16 wide release. In fact, the film's parent studio, Disney, was almost single-handedly responsible for 2016's success, delivering the plurality of box office revenue and its own personal record. The company became the first studio in history to break $7 billion in worldwide ticket sales, and it had its name on many of the year's most successful films. After 2015 and 2016, 2017 has a lot to live up to. But many observers believe it could be on track for another record-breaking season. Buzz is already mounting for big titles like "Blade Runner 2049," "Wonder Woman," "Justice League," "Guardians of the Galaxy 2" and, of course, the next installment in the Star Wars franchise. After Comcast Corp.'s Universal Pictures delivered a studio record in 2015 and Disney beat that record in 2016, it will be interesting to see which studio rises to the top next year.